Will a new year bring change to West Virginia? January 16, 2015 by Ken Ward Jr. It was pretty surprising that Gov. 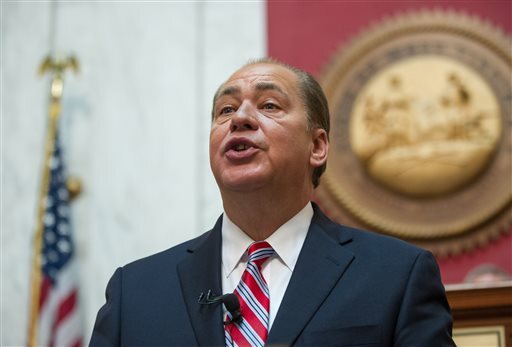 Earl Ray Tomblin couldn’t bring himself to mention the Freedom Industries chemical leak and the resulting water crisis in his State of the State address earlier this week. No, I wasn’t expecting that Governor Tomblin would suddenly become a public champion for tough environmental enforcement and use his annual speech to caution the Legislature’s new Republican leadership against rushing to gut SB 373’s new safety requirement for chemical tanks and mandates for public drinking water protections by utilities. But you would have thought the governor would at least use the water crisis as an example of how West Virginians pull together in times of trouble sorts of things that are so popular among our state’s political elite. Gov. Tomblin understands that protecting our state’s water resources is an important issue for residents not only in the Kanawha Valley but throughout West Virginia. Water protection continues to be the focus of a number of efforts, and he will continue to review what improvements we need to make. The Jan. 9, 2014, chemical leak was discussed in depth last week, including the release of an After Action Report by Gov. 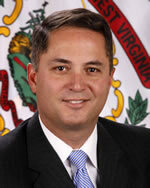 Tomblin, so the State of the State focused on other issues. Fair enough. But when the governor then uses his speech to go on and on about the great benefits he sees to the boom in natural gas drilling and production in the state’s Marcellus Shale — all the while ignoring repeated calls by state-hired experts and outside scientists (see here, here, here and here, just for example) for more protections for citizens in the gas patch — well, that sends a pretty clear message to West Virginians who were hoping Governor Tomblin and other state officials had learned something from what happened back in January 2014. For folks who live with the Marcellus boom’s negative impacts, it had to be especially hard to take for the governor to tout passage of the 2011 Horizontal Drilling Act as “comprehensive legislation.” Part of the deal when that law was enacted was that certain issues would not be dealt with, but put off for additional study by the DEP. Those studies are done, and they recommend more protections for citizens and the environment, yet Governor Tomblin and the Legislature pretend none of that ever happened. That’s taking us backward. That’s a policy, a rule change, that we just can’t allow to happen. I hope it never comes up again, and it’s a discussion that we don’t have to have. There’s plenty that citizen groups and Randy Huffman don’t agree on … mountaintop removal comes to mind. You’re not going to get Randy on board to outlaw that practice, and the DEP’s proposed changes in state water pollution permits for coal mining are certainly something that the industry very much wants, and environmental groups hope to somehow find a way to stop. And DEP is on board with Governor Tomblin’s continued insistence on fighting against efforts to do something about coal’s contributions to global warming. But on Category A drinking water protections. Randy Huffman and the state’s environmental community agree. It will be a test for both DEP and environmental groups to see if they can put aside clear differences on other issues and work together toward a common goal on Category A. If you’re the environmental community, who knows, you might find out that Randy Huffman doesn’t have horns and a tail and that there are more issues you can cooperate on. For Randy, the issue is also a chance to show citizens that there are in fact a lot of good people who work at DEP who really do want to protect our state’s environment. Governor Tomblin proposed a bill last year that focused on protecting our water intakes and identifying potentially hazardous materials stored in tanks located in zones of critical concern, and ensuring those tanks were fit for use. He continues to believe that is incredibly important and will ensure that if changes are made to Senate Bill 373 that they don’t put our residents and their drinking water at risk. Any proposed changes will be carefully examined. Changes that industry groups are promoting for West Virginia’s new chemical tank safety law would allow thousands of tanks located “in close proximity” to drinking water intakes to escape requirements for periodic inspections and mandated safety standards, according to a new analysis of data gathered by the state’s Department of Environmental Protection. One proposal for modifying SB 373 — the bill passed after last year’s leak at Freedom Industries — is to limit the law’s scope to above-ground storage tanks located in the “zones of critical concern” around intakes on surface waters and the “source-water protection areas” around intakes that draw from groundwater. About 3,200 tanks that were registered with the DEP by their owners are within those critical zones and “present the most immediate threat to drinking water,” stated the analysis released Wednesday by the West Virginia Rivers Coalition and the consulting firm Downstream Strategies. However, industry disclosures filed under the new law show that nearly 2,300 tanks are located outside the zone of critical concern but still sit within five miles of a surface water intake. And nearly 18,000 tanks are within five miles of groundwater intakes but not within a source-water protection area, according to the analysis. While the Category A designation is in place, companies are investing significant dollars along our rivers and much more development is projected. Gov. Tomlin does not see a need to change designations at this point. 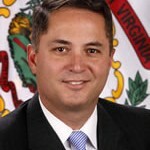 Given the Republican takeover of both the state Senate and the House of Delegates, Governor Tomblin (along with Randy Huffman) may be the only thing standing in the way of removing Category A and of all manner of other efforts to weaken environmental and public health protections in West Virginia. Though so far, the GOP leadership is showing themselves to be more interested in trying to make political points on such issues than on making real changes in state policies. Take the Republican effort this early in the session to repeal the state’s “alternative energy” law, passed back when Sen. Joe Manchin was governor. The Republicans want everyone to think this is a “cap-and-trade” bill. It’s not. And the bill does nothing to push state utilities even really a little bit away from their over-dependence on coal. But the GOP’s career campaign consultants have tried to mislead the public about this during multiple election campaigns (see here and here), and now they’re showing everyone who is boss by spending time repealing a pretty meaningless law. We must also support existing workers, especially our state’s hardworking coal miners. I know times are tough, but let me be clear, I will never stop fighting against federal regulations that harm our state’s energy industry and devastate our miners, their families and our communities. Last month, we filed comments related to the EPA’s carbon pollution emission guidelines and urged the EPA to reconsider its proposed plan. Federal bureaucrats must understand the impact these new rules will have on families and communities here and across the country. We must work together to develop reasonable, achievable goals that balance the environmental protection we all support with the economic growth we must maintain. While we remain hopeful the EPA will consider the effects regulations are already having on our economy, we continue to offer programs to provide coal miners and their families with the critical training they need to explore a different career path, if that’s a choice they wish to make. BridgeValley, New River and Southern West Virginia Community and Technical Colleges all offer programs to re-train hardworking miners and their families with the skills they need to succeed. These accelerated training programs are based on fundamental skills that are valuable no matter what high demand field our miners choose, even if they are able to find re-employment underground. While the governor makes a tiny nod toward reality, highlighting efforts to help retrain coal miners who have lost their jobs in the industry downtown, he continues this nonsense that EPA regulations are the major driving force behind that downturn, and pretends that finding a future without coal is a “choice” that our state’s residents have, rather than something that’s inevitable because of market forces and geology. Baby steps, West Virginia. But a long, long way to go. The first priority for the new GOP majority in the West Virginia Legislature? Doing away with the Alternative Renewable Energy Portfolio Standard, which provided incentives to increase the use of renewable energy sources. The West Virginia Coal Association supported the measure back in 2009, but now they’ve reversed their position … because Obama or something. Pretty much what I’ve always said: The coal industry has done a bang-up job of convincing West Virginia that COAL is all this state is, and all this state will EVER be. The longer answer, one that involves motives and economics, is that our politicians seem always to be a day late relative to the learning curve. Saudi Arabia, for instance, ha said it is willing to let oil prices fall to $20/barrel. Why? To destroy competition from tracked gas and oil, as well as tar sands crude. Those are the same market forces that have wrought havoc on the coal industry, yet our state government is apparently blind to such realities. As far as Governor Tomblin’s ability to protect us from a Republican-driven (and Democrat-abetted) assault on 373 is concerned, can he really do much to protect it when all that’s needed for a veto override is a simple majority? Finally, have you ever noticed that the adjective for “our” coal miners seems always to be orthodoxically “hardworking”? It’s never “suffering,” never “sickened,” never “injured” or “mistreated.” Do you reckon our politicians even recognize that all that “hardworking” tends to have pretty brutal consequences? It doesn’t seem so.